Tea kettles are basic and common household cookware items that come with one role- to boil the water that can be used for making tea or coffee. If you randomly check a number of houses in the neighborhood, then surely the majority of the houses will have at least one tea kettle that is prominently displayed in the kitchen or the countertop. Tea kettles may be popular but keep in mind that you cannot simply get one for your own home. There are different styles materials and designs for tea kettles, thus shopping can be complicated. 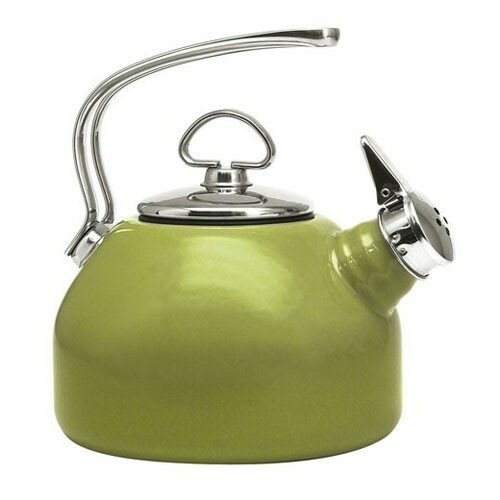 The once ‘basic’ and ‘’un-adorned tea kettle’ has been interpreted in many forms, from modern to wacky designs and a host of state-of-the-art features. What complicates the expected shopping process is the variety of kettle reviews in the market. With each brand out-promoting the other, it’s now tough to score an honest tea kettle review. So what should an average shopper and homeowner do? One great approach to shopping for a new kettle is to consider first the general types of tea kettles, check the materials used and start comparing reviews. There’s a new tea kettle for every lifestyle. This seems to be the latest marketing trick that is pulled by many kettle designers and manufacturers. When it comes to the most popular types of tea kettles, then you only need to pay attention to stove tea kettle and the electric tea kettle. Between the two, many tea drinkers and enthusiasts are using the stove-top tea kettle, thanks to its flexibility and ease of use. The stove-top kettle can be used indoors and outdoors, provided that there is a source of heat that can help boil the water. The stove-top kettle is also easy to maintain. There’s no need to be careful in using the kettle or to worry about moving parts that may get damaged. Stove-top kettles especially the ones made from stainless steel are known for their rugged construction. Even if you drop the kettle many times, you can be sure that it will work out just fine. It doesn’t mean though that you should disregard the electric kettles that are available in the market. What makes the electric kettles the best selection is the fact that these products are known for safety features that can help promote safety. Some of the leading brands will feature the automatic shut-off once the boiling temperature has been achieved. This is the reason why you need to read tea kettle reviews. Reading reviews will help you make an informed selection once you decide between a stove-top and electric kettle, or between a plastic and stainless steel kettle.